dis·in·ter·me·di·a·tion (d¹s-¹n-tur-mE-dE-A'shun) n. Withdrawal of funds from intermediary financial institutions, such as banks and savings and loan associations, in order to invest in instruments yielding a higher return. This definition comes from the electronic version of the Third Edition (1994) of the American Heritage Dictionary. It gives an idea of just how fast things change in cyberspace. Once a reserved word within the banking community, the term "disintermediation" has now spread well beyond even the broader financial industry. In its current use, it applies to any and all contexts where one "eliminates the middleman." Such an environment is said to be disintermediated. Of particular importance is it's near ubiquitous role in electronic commerce - at the level of transaction, distribution system, supply chain, customer service, customer management, and so forth. In its new manifestation, disintermediation covers a lot of ground. In the most positive sense, disintermediation extends the notion of adding value to commerce. Any electronic, computer-based, or network technology which reduces transaction friction or shrinks the trading distance would qualify. What harm could there be in using Internet resources to establish closer and more immediate and personal connectivity between provider and consumer? I foresee a great deal of harm which could result from disintermediation that becomes predatory. In this sense the purpose of the disintermediation migrates away from the concept of adding value or establishing closer links with customers, toward the destruction of another industry which is already adding value. I'll give an example of what appears to me to be a case of predatory disintermediation below. Were this a perfect world, all disintermediation would be symbiotic. A supplier might have difficulty reaching beyond a current customer base. A distributor comes forth who, for a reasonable percentage of the profits, will open up the supplier to a entirely new world of potential customers. The supplier, of course, makes a bit less on each transaction, but that's more than made up for by the increase in sales volume. The disintermediator - the innovative distributor in this case - adds value to the commerce by simultaneously connecting consumers who were beyond the commercial reach of the supplier with the products they need, and strengthening the marketing capability of the supplier. With symbiosis, whether disintermediated or of the Tobriand Island variety, everyone comes out ahead. A modern example of symbiotic disintermediation is AMAZON.COM. The added value which AMAZON.COM brought to the table was primarily convenience and facilitation and, secondarily, supplier-independence. It provided a convenient, electronic platform for shopping which reduced the transaction friction of book purchases using the concept of "virtual inventory." One needn't meander through the warm, wooden canyons of a Barnes and Noble store to find that perfect tome for the special occasion - one could achieve the same result (sans Starbucks) by electronically navigating through AMAZON.COM's virtual bookstore. Further, by maintaining a virtual inventory, AMAZON.COM avoided the concomitant overhead of a full-service bookseller. When the customer paid for the contents of his virtual shopping cart with a credit card, he bought a promissory note that AMAZON.COM would find suppliers somewhere in the world that would provide the contents at the agreed-upon price. After all, whether an inventory is virtual or veridical is irrelevant so long as the consumer gets the book on time and as promised. The concept is exceedingly symbiotic: AMAZON.COM provides a very useful service that was previously unavailable, namely the electronic facilitation of the book-purchase transaction and, in exchange for which, receives a fee. As above, the supplier (the book publishers in this case) is more than willing to pay the fee for the opportunity to reach an untapped customer base - the "online book buyer." Or are they? We'll return to this in a moment. Another example of disintermediation is the online brokerage that has become increasingly popular over the past few years. Once again, the Internet provides the infrastructure for convenient disintermediation. The customer is no longer tethered to the intermediary agent's office, fax or phone, but is free to deal directly with the brokerage - the entity seated on the exchange that is authorized and empowered to buy and sell equities on behalf of others. In this way a new virtual community of online day traders evolved. It is interesting to note that this "Internet zaibatsu" of the late 1990's first focussed our attention on the economic consequences of successful disintermediation. The widespread popularity of the online brokerage was almost exclusively due to investor cost-savings. Investors were drawn quickly to the online brokerages because the value of the traditional broker's services was perceived to be incommensurate with their fee structure. Commerce common sense dictates that in a free and open market, the health, security and long-term survivability of a service is directly related to the perceived value of that service. Without the security of protected transaction portals to the stock exchanges, traditional brokers became excess baggage to those attracted to online investing. Hence, cost-savings became a sufficient motivation to cut the traditional broker entirely out of the transaction loop. As a consequence, online brokerages proliferated beyond levels justified by need and common sense, ironically as their shrinking margins undercut their own viability. The two economic insights gained were first, that disintermediation may have a devastating impact on traditional service industries and, second, that many can play that game. The most important lesson to be learned from the Internet zaibatsu is my First Principle of Symbiotic Disintermediation: when the advantage of the disintermediation is predicated upon parsimony, economies of scale, or the novel use of a publicly-accessible technology infrastructure, one cannot create formidable barriers to effective competition. Failure to take heed of this principle will in the end cause more fortunes to be lost in electronic commerce than will be made. This lesson also extends easily other sectors of the economy. While the financial sector may have been the first proving ground of this postulate, the service and manufacturing sectors follow in close succession - and from all appearances aren't learning much from past misjudgments. This brings us back to our paradigm case of symbiotic disintermediation, AMAZON.COM. While the disintermediation is indeed symbiotic, it cannot be sustainable for it clearly violates our First Principle. AMAZON.COM's movement into other media venues (CDs, DVD and video, auctions, etc.) does not ameliorate the situation, rather it just extends the violation of the First Principle over a broader range of product offerings. Therein lies the inherent flaw in the basic AMAZON.COM concept. The value added -convenience, economy, supplier-independence, etc. - is easily replicable. Thus, we would have predicted from the onset that it should be impossible to preserve a competitive advantage for the first-to-market provider. Quite to the contrary, a corollary of the First Principle is that the very success of the online disintermediation encourages those that are higher in the economic food chain to go online themselves (e.g., Barnes and Noble adds barnesandnoble.com). This, ironically, gives the disintermediator's competitor the advantage because they actually own and control their own inventories. So, based upon the First Principle and its corollary, one would have predicted from the onset that there would be immediate, and threatening, competition to AMAZON.COM from their own suppliers and vendors. And that is exactly what happened - the disintermediator is getting disintermediated. There is another feature of AMAZON.COM which is also worth noting. This feature leads us to my Second Principle of Symbiotic Disintermediation: an instance of symbiotic disintermediation can only reach stability and maintain viability if the value-added is proprietary, inherently unique, difficult to replicate or legally protected. AMAZON.COM made a gesture in this direction with their semi-moderated or unmoderated database of online reviews, the implementation of which, however, remains half-hearted and uninspiring. For related discussion about adding value to publications, see my "Value-Added Publishing" (CACM, Jan., 1999). The only area in which these first two principles break down so far as I can tell in the area of market capitalization. There seems to be an abiding confidence amongst investors in electronic commerce that an unsound business plan will improve with age. It reminds me of a sign I saw once in a local shop which read "while we lose a little money on each sale, we make up for it in volume." In our ideal world, disintermediation would always be symbiotic. However, there are examples for which the actual case for added value is tenuous. 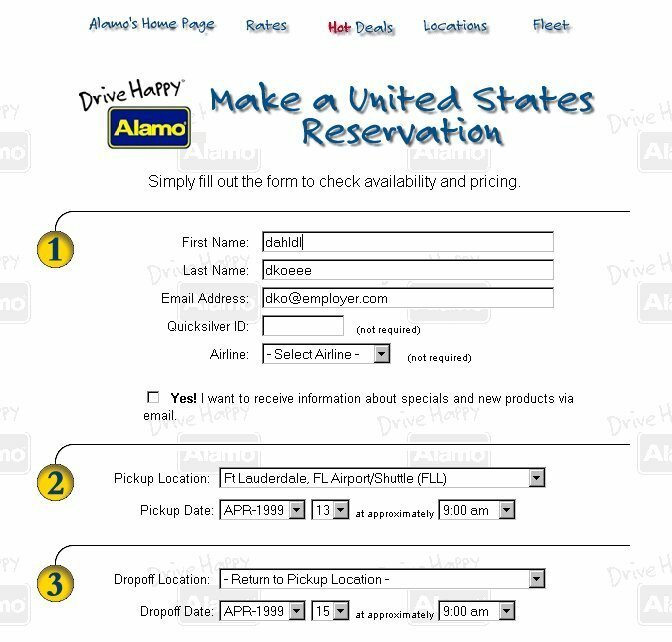 In my world, an example is the automobile web reservation system, where it is not always clear whether the experience better illustrates value-adding or time-sinking. For purposes of this column (and also our family vacation last summer) I conducted the following cost-benefit experiment. The hypothesis to be tested was that I could use the Web reservation services to save money for a rental car compared to the rates provided by my travel agent. The control group was my travel agent. The experimental group was me armed with the set of rental car Web reservation sites. The measurement is travel agent-obtained rates vs. Web-obtained rates plus "transaction cost" which is the value of the typical customer's time spent on finding the lowest rates. Here we go. We set out to compare rental rates for a minivan, rented in Ft. Lauderdale on May 10, 1999 and returned there on May 17, 1999. For purposes of calculating the transaction-cost for this activity, we record our charges in an activity log (see SIDEBAR). We assume an average annual income of our customer of $60,000. With approximately 2,000 hours in a work-year, that comes to $30/hour or 50 cents/minute for their time. Times shown represent transaction times for specified activity. 8:15 fill out CGI form for rates - error message received because contact information was missing.Type in contact information (see Figure 1a) and re-submit. 8:27 ponder and decide to drop Alamo like a bad habit and return to Excite page. 8:30 investigate link to Avis "hot deals"
8:32 return to main CGI form when hot deals are found to be "cold," and select the "request a rate" option.Proceed to "Request a rate - page 1"
8:46 return once again to "rates and reservations" page.No other relevant options discovered.Avis suffers same fate as Alamo. 8:52 investigate link to Budget "hot deals"
8:54 return to splash page when hot deals seemed warmed over.Note that there is no option for requesting rates apart from "reservation desk." 9:02 several false starts and review of site map all fail to produce a "rate finder." We give up in despair. 9:12 return to Excite page. "Back-arrow" will not work because of gratuitous use of frames in previous site, thus back-up return to Excite is impossible.Even worse, ill-mannered code hangs up IE 5.x.Open new token of Internet Explorer and Access Excite again.Repeat search for "car rentals"
9:26select pick-up and return times and dates from form combo-box options.Highlight minivan from list box, and Select 4-door from radio buttons. Submit form. 9:29 voila! $199.99/week rate proffered.First success amidst sea of content-challenged Websites.Fare seems reasonable enough to preclude further search.Reservation made. Moral: in symbiotic disintermediation on the Web, along with every other aspect of human activity, not everything that we can do is worth doing. 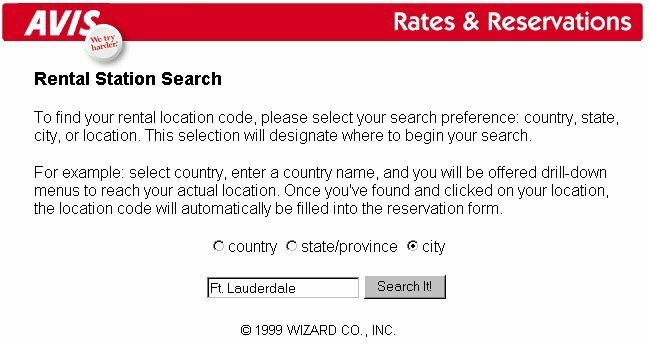 In my case the use of the Web reservation services for automobile rental was far from cost-effective. To this point, we have only discussed symbiotic disintermediation where the disintermediator attempts to complement an existing commercial activity. Overall, one expects a win-win. Such is not the case with predatory disintermediation, which is potentially the most dangerous dimension of disintermediation on the Internet. Reconsider the situation of the traditional stockbroker. The disintermediator, the online brokerage service, seeks to compete for the same pool of investment resources as the traditional broker. It capitalizes on the public's perception that the fee-for-service rate of the stockbroker is excessive. However, and this is a critical point, the online brokers and traditional brokers are competitors in the truest sense, and neither has a de facto or de jure competitive advantage over the other. Now let's change the situation somewhat. Suppose that we have a case where instead of the traditional vs. online brokerages, we compare two online brokerages - but with the following twist: one of the online brokerages is owned by the stock exchange itself. Now the playing field becomes uneven. There is certainly a strong, potential advantage that accrues to the online brokerage owned by the stock exchange. Consider the trivial case where both brokerages seek to acquire the same available shares of stock. Since the stock exchange is the clearinghouse of the they can simply pass the stock through their own online brokerage first as the shares become available. Impossible, you say? 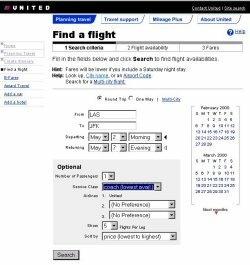 Actually there is disintermediation not totally dissimilar on the Internet today: airline reservation systems. 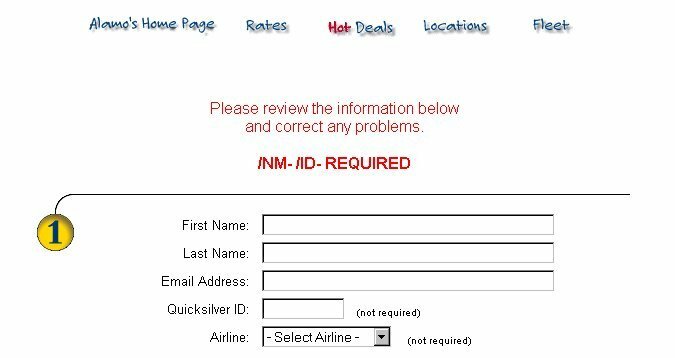 Most modern airlines have their own reservation Websites. 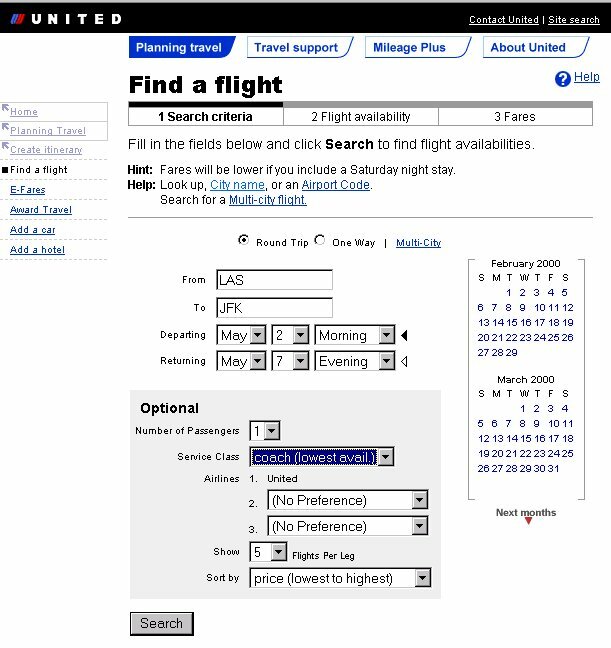 Services such as those found on United Airline's Website (Figures 3a and 3b) are in widespread use. From the point of view of disintermediation, all seems innocuous enough. However, travel agents report quite another story. The fact is that the disintermediation gives the appearance of being predatory because it violates the unspoken requirement of symbiotic disintermediation, namely that there be a level playing field. Consider the fact that the airline-owned reservation services sell the airline's own product (just as the exchange-owned brokerage above). This gives them an enormous potential advantage over competitive disintermediators. For one, they can offer special fares and perks exclusively to their online customers (remember, airfares are unregulated). Second, through their own proprietary reservation databases, they control the blocking and releasing of seat assignments on their aircraft, so that their online customers could receive preferential treatment. Third, they make their own rules with respect to ticket refunds, penalties and the conditions under which tickets may be exchanged, which they may or may not be consistently offered to customers of other reservation systems. Fourth, they control the way upgrades and frequent traveler rewards are handled, so that other agents may not be able to provide the passenger the same level of assurance that the upgrades and rewards will be honored. Fifth, they may not provide the same level of customer service support to those who hold foreign tickets. But worst of all from the consumer's point of view, the pricing model of the airline's internal reservation system is positive for them, neutral for the passengers, and negative for outside agents. That is, the model produces additional revenue for the airlines rather than fare discounts to the customer equal to any travel agent's commissions saved. Remember that the online brokerages are not predatory in this sense because none of them own or control the stocks that they sell - that's handled by a presumably impartial and even-handed stock exchange. It may be worth mentioning in this regard that it was not claimed in the recent NASDAQ class action litigation that the NASDAQ market makers gave preferential treatment to particular brokerage houses. Rather, it was argued that they defrauded investors equally, without regard to race, color, creed or favored broker. The airline reservation systems are another matter entirely. Their business model appears to leverage unfair ticketing advantage at the expense of external agents and rival disintermediators. 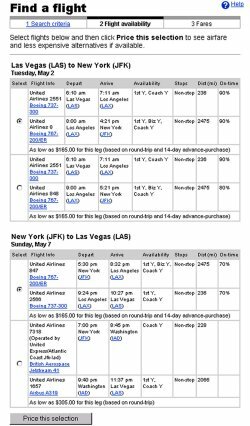 At this point, airlines have slashed travel agent's commissions to the point where in order to survive agents need to add a surcharge to the price of the ticket (which, of course, ensures that they operate at a competitive disadvantage). 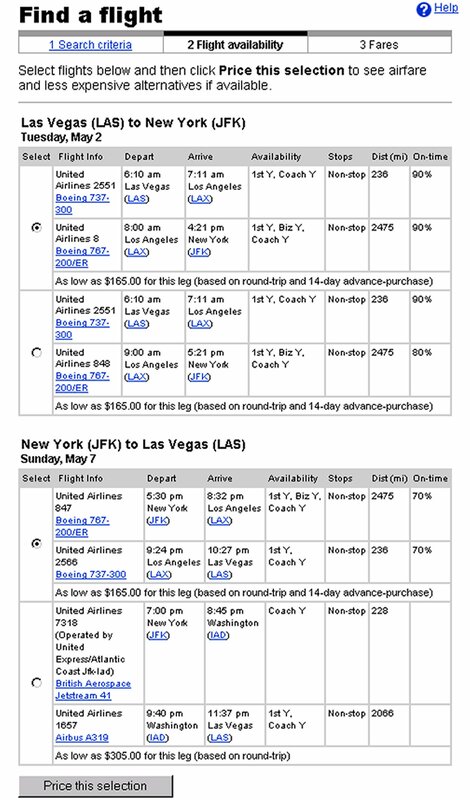 From my perspective as a frequent traveler, it appears as though the business plan of the airline's proprietary reservation systems includes the elimination of the travel agent. Whether that was truly their intention or not, that is the effect that cutting travel agent's commissions is having. Travel agents have as important a role to play as maintaining the competition in markets in keeping fares down. Of course, to a very great degree, one's position on just how worrisome what I've called predatory disintermediation is depends on one's perception of the value added by the intermediate service. The online brokerages caught on as quickly as they did because of the public perception that the traditional broker contributed little value to the transaction. I have no horse in this race. However, as a frequent traveler I view the travel agent as a classic case of value-adding re-seller. When a flight is cancelled, my first choice is not to seek re-accommodation from the carrier that just cancelled the flight. My travel agent and I both agree that "optimal routing" does not include a carrier's hub which is 500 miles further away from my destination than my departing city. My travel agent takes into account the reliability and on-time arrival/departure frequency of regional carriers before selecting the parent carrier, and understands the value of booking originating flights. My travel agent understands that while a 45-minute connection in DFW between Atlantic Southeast and an American Airlines international flight is a legal connection, it's probably not an intelligent one. I don't rely on the airline that just destroyed the contents of my luggage to outline my options or provide me with the contact information for the appropriate complaint office of the FAA. Finally, I have the confidence that when my travel agent reports a lowest available fare, it is. Of course when one argues such a point, one risks being labeled a post-modern Luddite. If I am right, however, the technology of disintermediation is not to be feared, but rather the possibility that it may be intentionally used to eliminate or stifle competition. While no one could deny that automobile industry drove the horse-drawn carriage and buggy-whip industry out of business, the consequence was a by-product of the industry and not it's objective. Parallel may be drawn with the digital watch and chronometer industries, and between television and radio. But in the era of digital disintermediation, the potential abuses are more widespread and the social consequences more immediate and much greater. It might also be claimed that what I've been calling predatory disintermediation is really nothing more than the direct-to-customer-wholesaling - the twenty-first century analog to the factory outlet mall. While I admit to the conceptual similarity, the potential impact of disintermediation is far greater because of the geographical transparency of the transaction medium. In principle, there was never anything that prohibited a manufacturer from directly competing with their retailers and suppliers (except perhaps common sense), but it was a practical impossibility. Consider that even today the proliferation of factory outlet malls has not significantly diminished the availability of the brand name products through traditional retail channels. The same would not be true if there were an outlet mall across the street from every retail store. That's where the practical difference comes in. Digital disintermediation makes it possible to compete with every retail outlet with a virtual outlet mall across the street. For those of us who see the value in value-added retailing, this is a serious concern on equal footing with monopolistic practices, predatory pricing and restraint of trade.